This weekend I will be helping out in the Lodge driving guests for tonight and tomorrow. Another bush dinner and another late night! 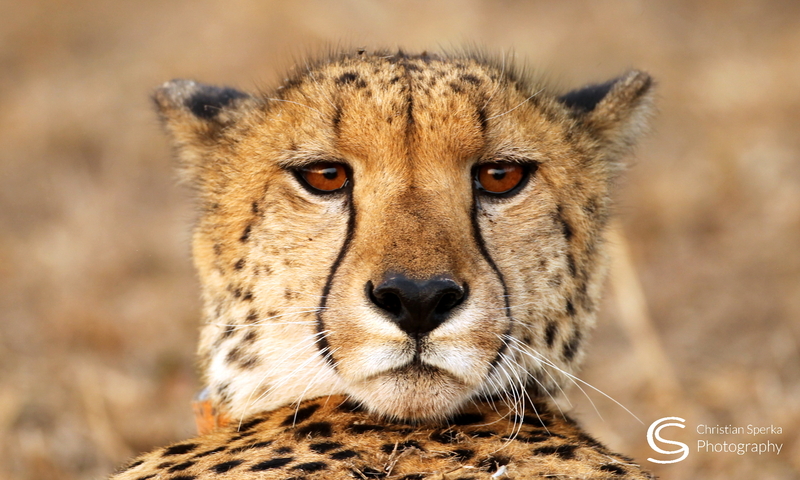 This morning a did a short drive with two 11-year-old kids, the daughter of one of the Thanda managers and one of her friends. We enjoyed our drive with Buffalos, general game and many birds. The two youngster especially enjoyed the rough ride of the Land Rover through some drainage lines :-). Quite a few people have asked me about my workplace. 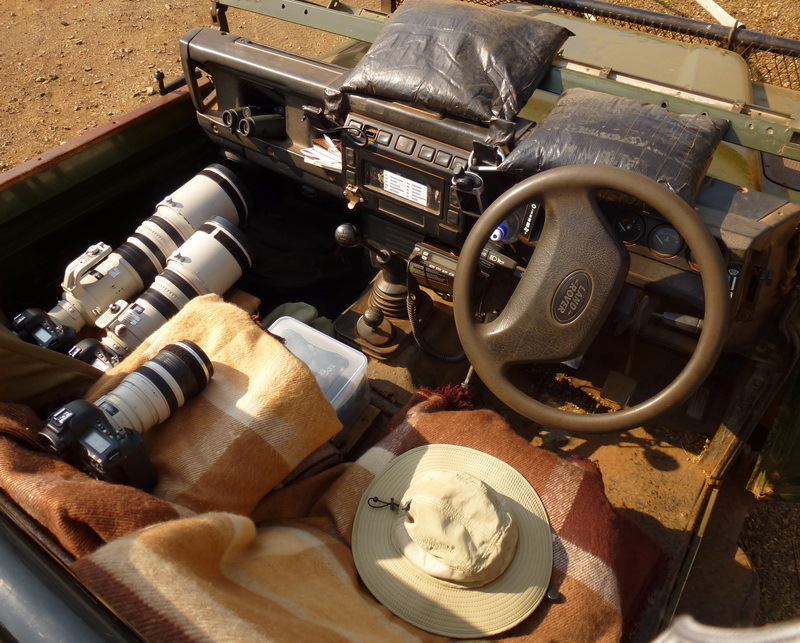 So here is a picture of my Land Rover “cockpit” with my cameras, binoculars, GPS navigation system, bean bags and my accessory box between the seats. There is also room for my little notebook in which I take down all important sightings of each game drive. Enjoy,and have a great day. Hi Christian, I guess the bean bags are for your cameras? Also who gets to sit in the high rise in the front of the vehicle that I saw in one of the earlier pictures of your office? Also again thanks for the elephant family pics… I know the genders are wrong but the image fits. Looks like a great mobile office.